The Chalet Catherine has a spacious living room on the top floor which is light and airy. There is a lovely open fire to create a good atmosphere. The chalet has an excellent ski in ski out location at the side of a piste adjacent to the town centre. From the balconies at the front of the chalet there are superb views of the Caron peak towering above the resort. For après ski enthusiasts, the Chalet Catherine is near enough to Malaysia (the largest nightclub in the Alps) to stumble back in a couple of minutes, but without the noise issues, because the club is underground. 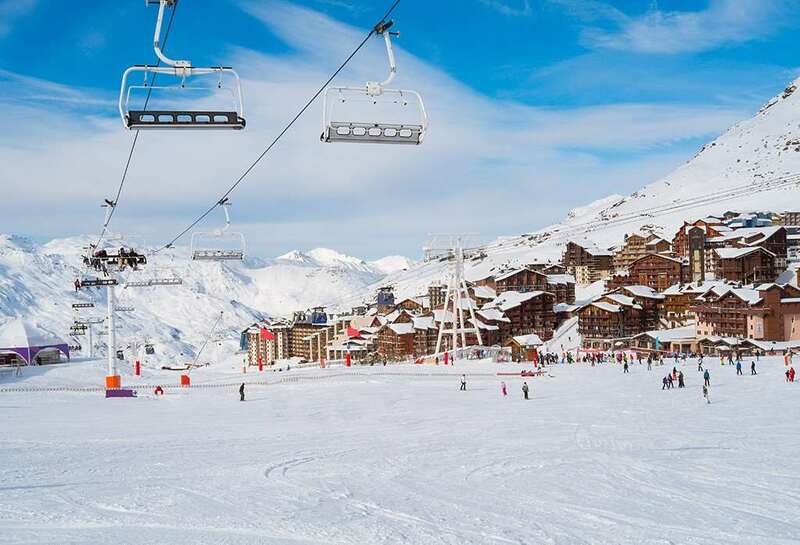 There are only a handful of detached chalets in Val Thorens, and this super property is certainly one of the very best. Divided into two chalets, run and catered separately, but sharing the bonus of the sauna on the ground floor, the Chalet Catherine could not be more central nor more stylish. Skiing is literally to and from the door, as the chalet is located right on the side of the nursery slopes in the centre of the resort. The best location in Val Thorens! Main entrance, ski & boot room and sauna for both Chalet Catherine and Olivier. The chalet is all but on the piste & close to the town sports centre. The rooms are small but functional and the chalet holds up to 18 people. The food & wine are a notch or two better than I have had with Crystal or Neilson & the Ski Total team were universally helpful. Just spent a fantastic week in this lovely resort. The chalet has the most amazing views and we were very well looked after as a group by the chalet staff. Definitely recommend it. The price shown includes 7 nights accommodation, with flights from Stansted.